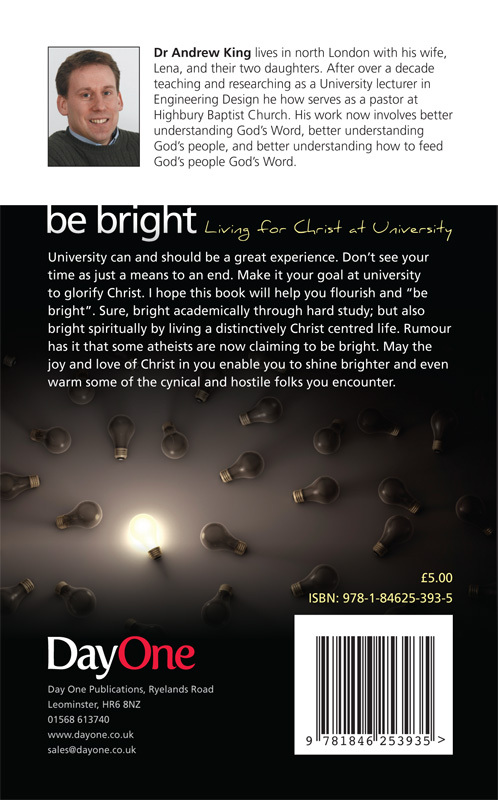 This book cover was designed for the Christian publishers Day One. 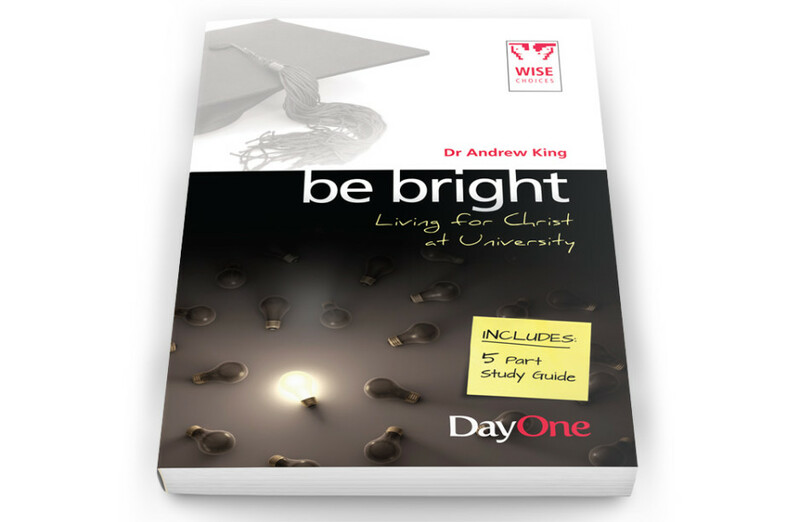 The title, ‘Be Bright: Living for Christ at University’, is pitched at students and forms part of their ‘Wise Choices’ series. 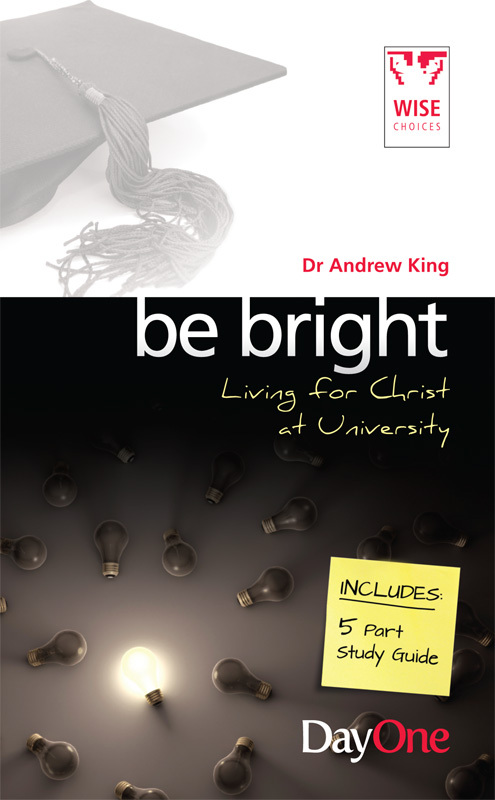 The book cover design builds upon the series style and wider company brand while also establishing a unique, relevant and engaging visual appeal.